Phased improvement works are set to start at the junction of Buckley Hill Lane and Edge Lane, Netherton to benefit traffic flow in the area. The improvements will include the installation of a new left hand turning lane on Buckley Hill Lane and general works to help enhance pedestrian facilities at the junction. Contractors will undertake the works from March 11 and are expected to take up to two weeks to complete the first phase of the improvements. 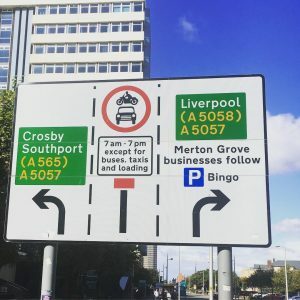 Cllr John Fairclough, Sefton Council’s Cabinet Member for Locality Services, said: “This will require the installation of temporary traffic lights to be used during off-peak hours between 9:30am and 3:30pm so we are kindly asking motorists to make sure they plan their journeys accordingly. 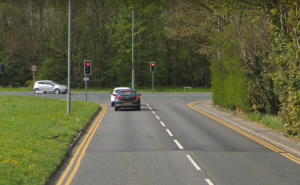 “The second phase of improvement works is expected to begin on March 25 and this will necessitate the closure of the southbound carriageway of Buckley Hill Lane, between Almonds Turn and Edge Lane, for up to ten weeks. Residents and businesses in the area have already been made aware of the works. Four people have been fined after being found guilty of littering in the borough. Fines totalling over £1,400 were handed out at South Sefton Magistrates Court on February 27 after all four failed to pay fixed penalty notices after being caught dropping rubbish. Paul Carter, 48, of Waterloo plead guilty by post and was fined £322. Craig Keevil, 46, of Southport was found guilty in absence and was fined £392. Makala Smith, 29, of Eccles, was found guilty in absence and was fined £392. Emma Wilkinson, 39, of Chorley, was found guilty in absence and was fined £392. 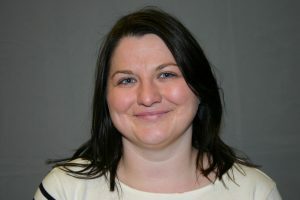 Cllr Paulette Lappin, Sefton Council’s Cabinet Member for Regulation and Compliance, said: “People need to think twice before just throwing their waste away and court cases like these highlight what can happen if you are caught. “Littering is an unsightly act and we will not hesitate to fine those who do it. For more information about littering, visit www.sefton.gov.uk/bins-recycling/litter-and-fly-tipping. Sefton Council is bidding for a slice of the £675m Future High Street Fund with bids planned for both Southport and Crosby. 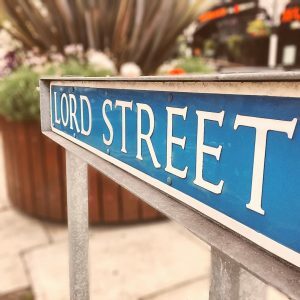 The Future High Street Fund was announced in last November’s budget and aims to support and fund local areas’ plans to make their high streets and town centres fit for the future. In this first round, Sefton will include bids for both Crosby village and Southport town centre and builds upon the Council’s ambitions for its town centres encapsulated within its agreed regeneration frameworks and 2030 Vision. The Future High Street Fund aims to help Councils, their communities and the private sector work in partnership to develop and sustain town centres to enhance their vitality and viability. The fund also includes the opportunity to bid for part of a £55m Heritage High Street Fund. Cllr Marion Atkinson, Sefton Council’s Labour Cabinet Member for Skills and Regeneration, said: “Building on Sefton’s ambitions for its town centres, we are aiming to submit two bids to the Future High Street Fund for both Southport town centre and Crosby Village to help sustain them for the future. The bids will also support Sefton’s and the City Region’s ambitions for future growth. “For Southport this will build upon Sefton’s success in securing around £10m of Heritage Lottery and Coastal Communities Funding for King’s Gardens, Southport Pier and the recently announced Townscape Heritage Scheme. Formal stage 1 bids for both projects will be made in the coming months with further details issued in due course. Sefton Council has been awarded half a million pounds for its early intervention programme and ongoing work to prevent youth crime in the borough. The £500,000 from the government’s Supporting Families Against Youth Crime fund with help the local authority to continue in-depth work with parents, carers and professionals around the dangers of children being exposed to gang culture. The Supporting Families Against Youth Crime fund enables keyworkers, community groups, teachers and other professionals working with children and young people at risk, to intervene early on and help stop them from becoming drawn into gang crime, serious violence and the youth justice system. Sefton Council will now use the £500,000 funding to continue with a range of initiatives, which will see teams work closely with young children who may be directly impacted by crime from an early age. Cllr Trish Hardy, Sefton Council’s Cabinet Member for Communities and Housing, said: “I’m pleased that we’ve been given this grant. This much-needed vital funding will allow us to continue to help families in need to resolve problems that affect them and their community. The grant is the latest recognition for Sefton Council’s Localities team after their partnership work around gang awareness was praised as an example of best practice by the government’s Victim’s Commissioner, Baroness Newlove. 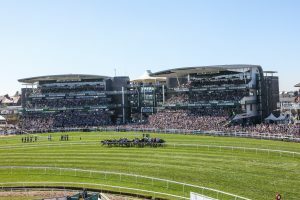 Sefton Council have launched a public consultation to tackle the issue of ticket touting at the Aintree Grand National after a sharp rise in the practice. The Local Authority are proposing to introduce a Public Space Protection Order (PSPO) which would make it an offence within a designated area to sell, offer for sale or advertise tickets for the three day event. Failing to comply with the order would result in ticket touts being required to leave the area for up to 24 hours, as well as being handed a £75 fixed penalty notice. A consultation will now run until March 10 with residents being asked for their views on the proposed PSPO. Cllr Paulette Lappin, Sefton Council’s Cabinet Member for Regulation and Compliance, said: “Ticket touting at the Grand National is an ongoing issue and we want to curb this unpleasant practice. “Touts can be intimidating and their behaviour may cause distress to members of the public and racegoers during what should be a completely enjoyable experience. John Baker, Managing Director of Aintree Racecourse, said: “We would very much welcome the introduction of a Public Space Protection Order for ticket touting by Sefton Council which would make it an offence to sell, offer for sale or advertise tickets for the Randox Health Grand National outside the racecourse. “At Aintree we pride ourselves on providing first class customer service and that starts at the perimeter of our racecourse. Ward Councillors, Aintree Parish Council, The Jockey Club and local businesses will also be asked to give their views on the consultation. For more information or to give your views, please visit www.sefton.gov.uk/aintreepspo.